Video game enthusiasts love creating words to describe genres by taking a couple of game titles and mashing them together, it’s the sort of practice that has given us “Metroidvania” and “Soulsborne”, and it’s very useful as shorthand for knowing what you’re getting yourself into when you put your hard-earned cash on the counter. There isn’t, however, any term for games that try very hard to evoke the sense of playing an Ueda Fumito game, so I would humbly like to suggest “Icolossus” as something that is both confusing to pronounce and drives auto-correct barking mad. RiME, then, would be an Icolossus. It’s got the haunting music, the stark visuals, the strong use of environmental storytelling, and the overall sense of isolation. Your character wakes up on the beach of a gorgeous sunny island, without much sense of how you got there, and you quickly make a cute fox friend and go on a puzzle-solving adventure. Anyway, on this island, you do a lot of climbing around and finding keys and pushing boxes and feeding fruit to cute happy pigs and the sky is blue and the sun is shining and there’s absolutely no sense of the massive tonal shift that awaits you about five hours later. At this point, I will say that I won’t spoil too much of the ending, but I will warn any prospective player that the last sequences of the game seem crafted to punch you right in the stomach, repeatedly, until the end credits blissfully roll. The only other game I’ve played from Tequila Works was “Deadlight”, which has some similarities to RiME – both are fairly short affairs with very distinctive visual styles, both involve traversing the ruins of a once-majestic civilization (we will, for the moment, consider Seattle “majestic”), and both go right for the feels. On the other hand, while “Deadlight” could be tooth-grindingly-difficult at times (Goddamned helicopter level, I am looking at YOU), RiME is a relaxed, almost casual affair, with very few things that try to kill you. One of the levels has you darting between patches cover to avoid the attentions of a hungry, roc-like bird, but it never gets terribly tense and I actually wound up feeling a little sorry for the bird at the end. 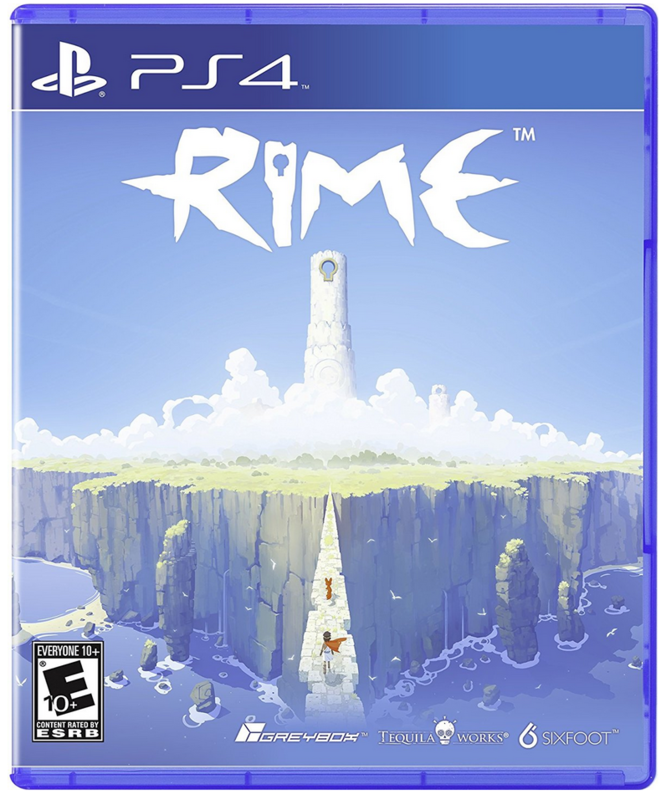 RiME launched at thirty bucks for both major consoles and PC, and has been discounted on several occasions since. My retail copy was all of $16, and I’d call it a bargain at that price. You probably won’t spend more than an afternoon with it, but I suspect the experience will linger for quite some time.